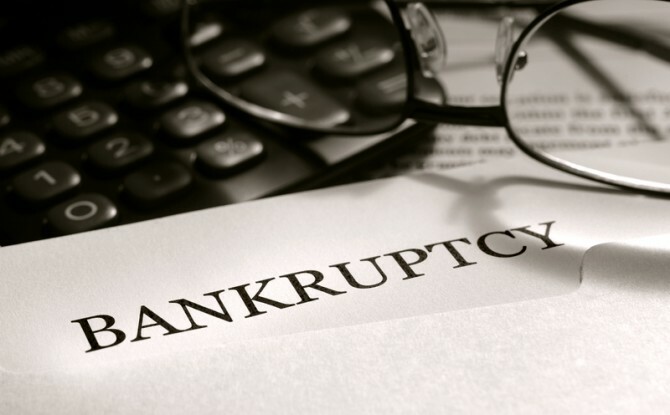 What does a Bankruptcy Notice do? A Bankruptcy Notice is a document that, once served, requires the person served to either pay a debt (or enter into an arrangement for payment of a debt) within a specified period of time, usually 21 days. If the Bankruptcy Notice is not complied with within that time, the person has committed an “act of bankruptcy” entitling the person owed the money (creditor) to commence bankruptcy proceedings. It is usually a good idea not to try to do this yourself but rather to engage a lawyer to assist, including obtaining an AFSA Bankruptcy Register search (formerly a National Personal Insolvency Index search) beforehand. How is a Bankruptcy Notice issued? Bankruptcy Notices are issued by the Australian Financial Security Authority (AFSA) (formerly the Insolvency & Trustee Service Australia (ITSA)) at the request of a creditor. In order to apply for a Bankruptcy Notice, you must hold a final judgment for at least $5,000 that is no more than 6 years old. Once issued, the Bankruptcy Notice needs to be served on the debtor. There are various ways to achieve this (including by post in some circumstances). If the debtor does not dispute the validity of the Bankruptcy Notice or pay the judgment debt or come to a satisfactory arrangement for payment of the debt within the 21 day period, then the debtor will have committed an “act of bankruptcy” as defined in the Bankruptcy Act 1966 (Cth) and the law will presume the debtor to be insolvent, entitling the creditor to commence bankruptcy proceedings. The order declaring someone a bankrupt is called a “sequestration order“. What is the effect of bankrupting someone? because of the adverse effect of bankruptcy on a person’s credit rating (and therefore their ability to get a loan later in life). This is why issuing a Bankruptcy Notice and, if necessary, commencing bankruptcy proceedings can be an effective way of obtaining payment if you are a creditor. What does the court look at before bankrupting someone? Bankruptcy proceedings are commenced by filing a Creditor’s Petition in the Federal Court of Australia or the Federal Circuit Court of Australia. Before a person is declared bankrupt, the Court must be satisfied that the person has committed an “act of bankruptcy” in the 6 months before the commencement of the bankruptcy proceedings. The most common act of bankruptcy is failing to comply with a Bankruptcy Notice. For those in business for themselves, one of the effects of being declared bankrupt, in addition to losing control of the majority of your assets, is that s.206B of the Corporations Act 2001 (Cth) provides that undischarged bankrupts or those who have entered into personal insolvency agreements cannot act as a director or take part in the management of a company. AFSA and ASIC have a Data Matching Protocol such that ASIC will receive notification of a director’s bankruptcy. Although a bankrupt automatically ceases to be a director, the director must notify ASIC by lodging a Form 296 - Notice of Disqualification from Managing a Corporation and further, the Company also has an obligation to notify ASIC of the cessation of an officeholder by lodging a Form 484 - Change to Company Details within 28 days of the change taking effect. The Court has the power to grant leave to an undischarged bankrupt to take part in management of a company, subject to ASIC being notified of the application. Such leave, which can be granted both with or without conditions, is not available however, where the disqualification was imposed by ASIC (as opposed to an automatic disqualification due to the operation of the Corporations Act). The court will not easily be convinced that the usual prohibition should not apply and will exercise its discretion with a view to balancing the considerations relevant to the bankrupt and the public policy behind the prohibition. In such an application, the applicant bears the onus of establishing that the Court should make an exception to the legislative policy underlying the prohibition. The policy behind the law is protect the public and among other things, to seek to ensure that investors, shareholders and others dealing with a company are not disadvantaged. Hardship to the proposed director is not of itself a persuasive ground for the granting of leave although it is one of many factors which may be considered by the court in exercising its discretion. The court will have regard to the reason for the disqualification, the nature of his or her involvement, the general character of the applicant including the applicant’s conduct in the intervening period since being removed from office or prevented from being in office, the structure of the company, its business and the interests of shareholders, creditors and employees. Although such applications are not commonplace, an undischarged bankrupt may be granted leave to take part in the management of companies generally or, more frequently, in the management of a particular company. The disqualification imposed by the Corporations Act continues despite the Court granting leave and care must be taken to ensure that any conditions on the leave are complied with as failure to do so can result in the leave being revoked and the commission of an offence. Craig Pryor is principal solicitor at McKillop Legal. For further information in relation to bankruptcy, insolvency, debt recovery, commercial law or business disputes, contact Craig Pryor on (02) 9521 2455 or email craig@mckilloplegal.com.au.